Thinking back to childhood, most can agree that some of our fondest memories were made on a playground. We learned to play with others, create new adventures, and give caution to the wind. Cox Enterprises and KaBoom! agree that all children should have a safe place to play and make memories. The two organizations recently collaborated to donate their time and funding to, Our House, Inc., an organization that provides quality early childhood education and comprehensive support services for families who are experiencing homelessness. The first phase of the playground build was Design Day. The children were asked to design their dream play space. The playground was then measured and plans for the new play space was discussed with the staff of Our House, Inc. Approximately three months later, volunteers gathered at Our House, Inc. to make the children’s playground dreams come true. The volunteers met early in the morning and worked throughout the day, performing tasks such as: mixing cement, assembling playground pieces, and painting. A little more than six hours later, the new playground was complete! 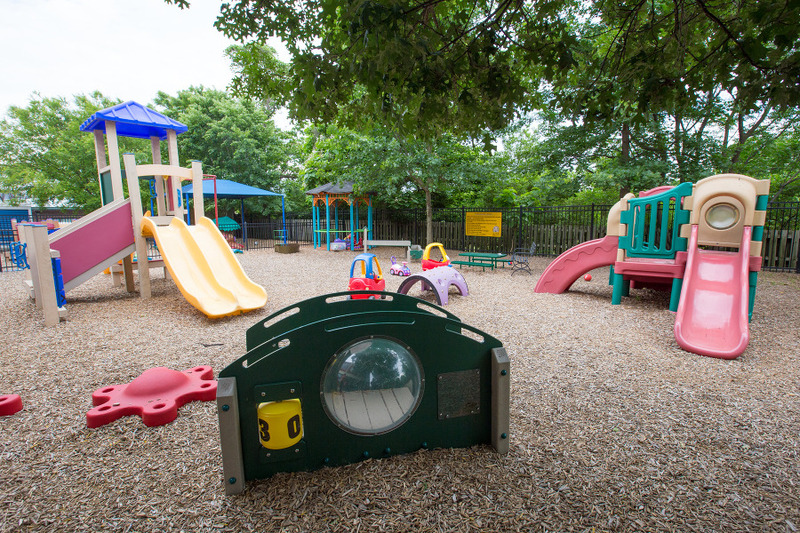 Squeals of joy can now be heard on the playground as the children run, jump, and play about in their new space! Thank you Tyrene Hodge, of Cox Corporate Services, for allowing Atlanta Event Photography to capture this delightful event. We celebrate your efforts to ensure the safe and healthy play of all children! AEP was excited to have an opportunity to photograph Aflac’s annual duckprint awards. The company honored three advocates who have greatly impacted the fight against childhood cancer: comedian Jeff Foxworthy and Ansley and Vicki Riedel. The celebration was two-fold as the company also marked a major milestone, contributing over $100 million to the Aflac Cancer Center of Children’s Healthcare of Atlanta (CHOA). Jeff Foxworthy, an Atlanta native, was recognized for his fundraising efforts to support childhood cancer research. While mother and daughter, Vicki and Ansley Riedel were recognized as the source of the tiny footprint that started it all. At 10-months-old, Ansley was diagnosed with leukemia. She was successfully treated, but a passion was ignited in Vicki to seek additional funding resources for the hospital’s cancer center. She called the Georgia-based Aflac and asked for a donation to assist the operation of the cancer center. Chief Executive Officer, Dan Amos responded by offering $3 million to CHOA. In exchange, the center was renamed the Aflac Cancer Center. Today, the center is included in the top-10 ranking of children’s cancer centers in the nation. The fight against childhood cancer is a serious matter for comedian Jeff Foxworthy. In addition to his fundraising efforts for the Aflac Cancer Center, he provides voiceover work for non-profit organizations such as CURE Childhood Cancer and Camp Sunshine. His efforts to help eradicate childhood cancer doesn’t stop there though, he is also closely involved with the Duke University Children’s Hospital’s efforts to raise funds for cancer treatment. And what of little Ansley? Well, she is now an accomplished musician, equestrian, and … a registered nurse at Children’s Healthcare of Atlanta on the Aflac Cancer and Blood Disorders Center floor! What are the odds of being employed at the same facility that treated you for cancer as a kid? Amazing!!! Special thanks to Caitlin Watkins at FleishmanHillard, for allowing Atlanta Event Photography to be a part of such a momentous occasion. If you or anyone you love has been diagnosed with autism, you may already be aware of Georgia House Bill 429. The bill aims to ensure kids with autism have early access to critical therapies by requiring state-regulated insurance companies to cover treatment for those ages 6 and under. This is a huge victory for Georgia’s kids and legislation we can all celebrate, regardless of our political leanings. We were thrilled to have our own Jason Hales on-site at the Capitol to capture the signing of the bill by Governor Nathan Deal. The Children’s Healthcare of Atlanta mascots brought their usual spirit to the event! The autism insurance reform bill was sponsored by Senator Charlie Bethel (R-Dalton) and passed as an addition to HB 429, sponsored by Representative Ron Stephens (R-Savannah). Along with Senator Bethel and Representative Stephens, many members of the General Assembly worked together to make this a reality, including strong support from Governor Deal, Lieutenant Governor Casey Cagle, Senator Renee Unterman (R-Buford) and Representative Richard Smith (R-Columbus). Special thanks to Patty Gregory at CHOA for allowing us to cover this momentous event. We applaud your efforts in supporting kids with autism. I wish financial literacy had been an educational priority when I was young. Unless our parents were well versed in finance, my classmates and I generally had to figure it out on our own. Many, like me, did so while stumbling through early adulthood. Thanks to Junior Achievement of Georgia and Equifax, local middle schoolers will be much better prepared to manage their finances and credit. 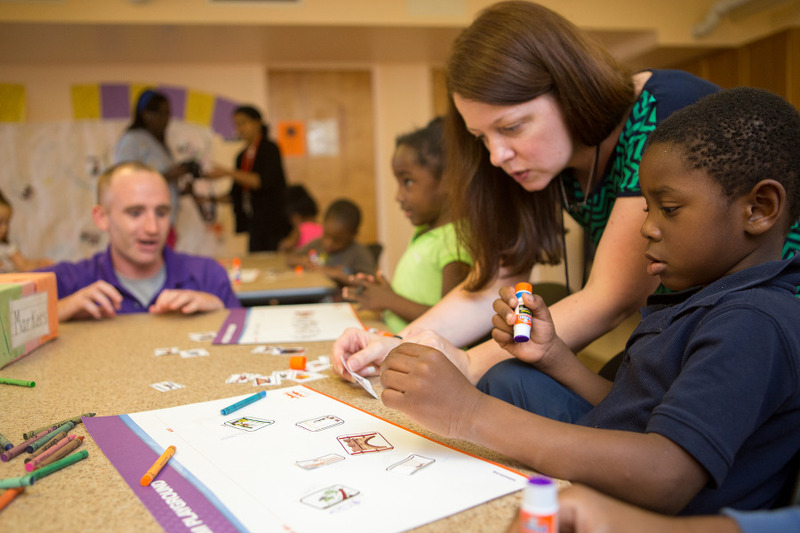 We had the chance to see Equifax volunteers and the kids in action at the innovative Junior Achievement Finance Park. Imagine an interactive marketplace where kids can make personal finance decisions in simulated real-world situations. That’s JA Finance Park in the Georgia World Congress Center. It opened only two years ago and about 30,000 students have already experienced it. Equifax is one of several Atlanta corporations that have joined Junior Achievement’s mission to help students understand credit and personal finance as real-world, practical concepts. If you’re like me, seventh and eighth grade may strike you as a bit young for kids to begin understanding credit. But Junior Achievement targets this specific group based on research findings that kids start disengaging from school in seventh and eighth grade, when they first begin seeing it as irrelevant to their real lives. I can report confidently that the kids we photographed were highly engaged in the JA Finance Park experience! I speak for the entire Atlanta Event Photography team when I say that we love seeing first-hand how our corporate leaders partner with nonprofits to improve metro Atlanta communities. Thank you, Mark Braykovich, for giving us the opportunity to see Equifax in action with Junior Achievement. Every so often our team has the unique opportunity to travel the world covering amazing client events. Last month’s Cox Winners’ Circle took us to the Bahamas for an amazing stay at the Atlantis, Paradise Island, while shooting the many receptions and events on the agenda. The setting was just too beautiful for us to keep these photos to ourselves! One of the most fun and striking experiences was the Bahamian street parade, called Junkanoo, with music, dance and elaborate costumes. The parade is traditionally held on Boxing Day–December 26–but we’d never have known the reenactment on the Atlantis’ Royal Deck was less than authentic. This vibrant show embodied the same passion we saw throughout Atlantis. I was thrilled to have my teammate Kevin Liles with me onsite to help capture everything. Brandon Andrews, our videographer, captured some fabulous footage as well. When in the Bahamas you can count on warm hospitality, outdone only by the outside temperatures. Each day Cox guests enjoyed cooling down with Ben & Jerry’s ice cream by the Flying Fish at the hotel. If you’re looking for a dramatic setting for cocktails and conversation, we highly recommend the Poseidon Imperial Foyer! Everywhere we looked was a feast for the camera with the bluest of blues, greenest of greens and pastels right out of a candy box. We’d like to give a special thanks to Cox’s Martha Kehoe for allowing us to be part of this phenomenal event.